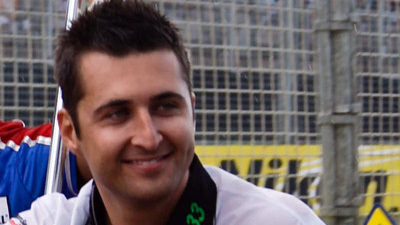 Today, Fabian Coulthard was revealed as the newest member of the Melbourne based V8 Supercar team. The accomplished Kiwi racer made the shock move from Ford to Holden this week, ending his contract with Wilson Security Racing after two years. Coulthard was delighted to sign on with one of the most highly regarded teams in pit lane and secure his V8 Supercar future for a further two years. He said he couldn’t wait to join forces with his new team-mates. “To drive alongside Garth Tander and Will Davison at Walkinshaw Racing is an exciting prospect,” Coulthard said. “This is a great opportunity for me and I am honoured to have been given the chance to step up and drive for such a professional outfit. CEO of Walkinshaw Racing Craig Wilson said the decision to bring Coulthard across was about building a team that could put results on the board. “We strive to have the strongest driver combination possible. With Fabian joining Walkinshaw Racing we believe we have a stronger line-up for 2010,” Wilson said. “The last two years have shown that Fabian has the speed and consistency to be a real threat,” he said. “We look forward to him joining the team later this year so we can hit the ground running for the start of the 2010 season in February,” he said. Coulthard made his full time V8 Supercar career debut at the start of the 2008 season with Paul Cruickshank Racing’s single car outfit, which then became Wilson Security Racing in 2009. He immediately impressed his peers with his best result at the inaugural Hamilton 400 event on home turf in New Zealand. His first podium at Symmons Plains in Tasmania earlier this year was a highlight but the offer to work with a factory supported squad and the chance to drive alongside Bathurst Champions Tander and Davison formed part of the Kiwi’s decision to make the switch. Coulthard will close out the 2009 season with Wilson Security Racing before making the move to Melbourne during the off-season.